Looking for a classy wine related gift? Your wine will be fresh and tasty super insulated, stainless steel wine bottle. This 16 oz. 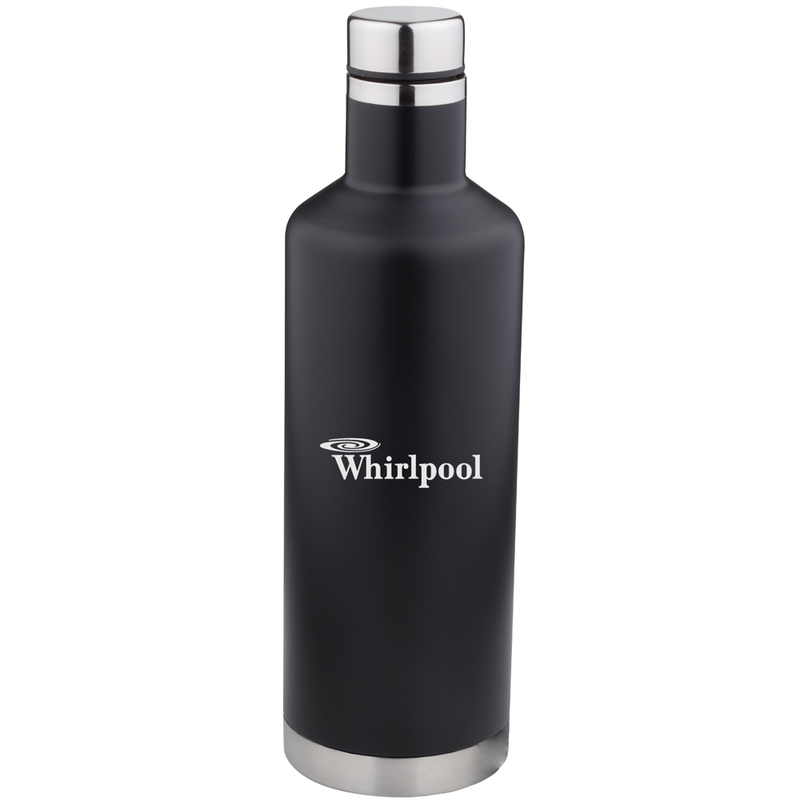 bottle, designed for wine, will keeps beverages of all types hot or cold for hours. Matte black and brushed stainless steel, your logo will pop on the imprint area which is 2-1/2″ x 2-1/2″. Minimum is 90 at 10.50 ea, 240 at 9.75 ea, 510 at 9.25 ea and 1020 at 8.99 ea. Set up is 40.00. Item KB-30.